The EC-2018 TURBOA 4-Pin Turbo CB Echo Microphone with Talk Back from RF Limited is considered by many to be among the best available on today's market. RF Limited has a strong history of producing unique and innovative CB microphones and accessories. The EC-2018 TURBOA is the first handheld microphone to have the controls on the outside of mic case! The TURBOA mic is part of the RF Limited's truck toyz family of products. The EC-2018 TURBO "Road Noise" echo microphone has dual echo controls on the outside of the mic and external controls on the back case for easy one hand adjustments! The EC-2018 allows on the fly echo effects to add to the excitement of your on the air radio communications. The EC-2018 TURBO is compatible with 4 pin Cobra/Uniden and most newer 4 pin radios. For good clean audio with loud sound install an EC-2018 in your CB or two-way radio and let the alien voice hit the airwaves! Adjustment for the Echo Level and the Echo Delay controls to create Whammy Sound Effects! A new, custom echo chip (available only in the EC-2018 TURBO) provides the widest echo range - from the new robotic sound called ALIEN VOICE, to a full 600 msec. echo delay called REFLEX ECHO. 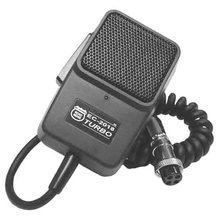 The RF Limited EC-2018 TURBOA is a 4 pin electret CB microphone. Because it is amplified, it is completely compatible with any CB radio wired standard 4 pin DIN Cobra/Uniden. The Talkback feature will only work on radios that switch the receive audio through the microphone circuit. Basically, if you have to plug a mic into your radio to hear anything the talkback will work for your radio. 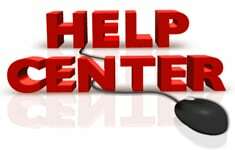 NOTE: If we are out of stock of these, check out the DM5000 (4 pin) or the DM5000-5 (5 pin) as another possible option for you!